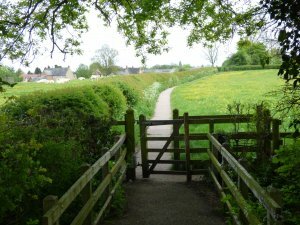 There is an extensive network of footpaths and bridleways in and around Silverstone. Northamptonshire County Council is responsible for maintaining the definitive map of public rights of way. A map of the village footpaths and bridleways can be seen in the Parish Council noticeboard on the wall of the White Horse Public House.